Advanced WiFi LED pattern engine. Live pattern expression compiler, lightning fast fixed point math, and HDR! Sensors Expansion - Sound, Light, Accelerometer! 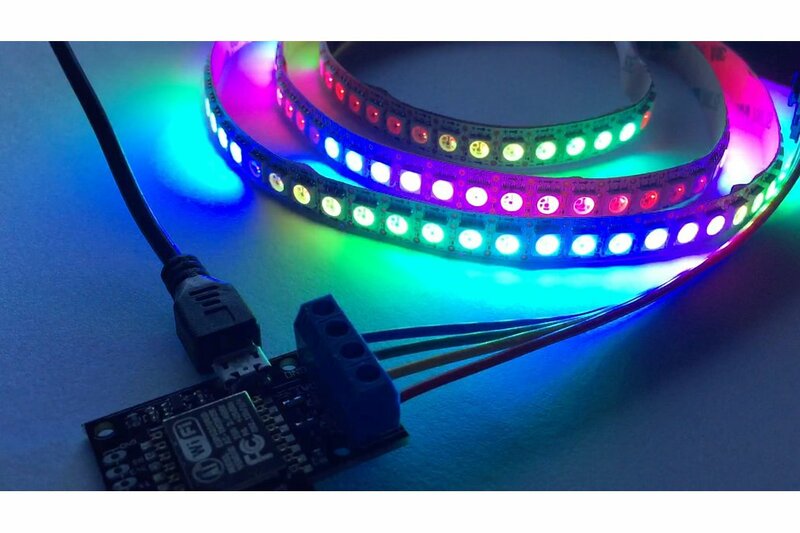 Add sensors to make LED patterns that react to their environment! 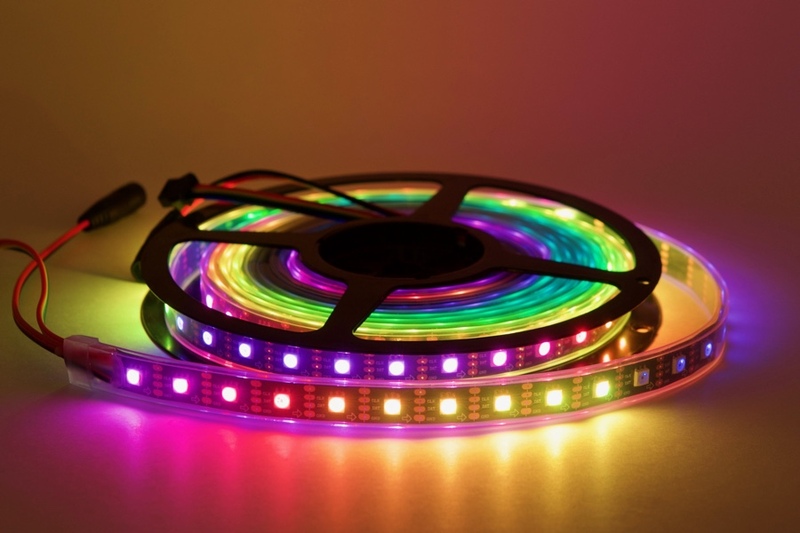 Pixelblaze V2 is an advanced LED pattern development engine. It makes it fast and fun to write new patterns with its web-based live editor and highly optimized expression engine. Pixelblaze can store hundreds of patterns and lets you write new ones by entering mathematical expressions or code that update live as you type. No more time consuming compile, upload, test cycles! Pixelblaze is optimized for speed and can produce hundreds of frames per second for extremely smooth animations. Pixelblaze was designed for APA102 LEDs (aka DotStar). These LEDs are state-of-the-art and provide rock solid updates, faster refresh cycles, and the possibility of a dynamic range well beyond 0-255. Pixelblaze also supports WS2812 (aka NeoPixel) and WS2801 LEDs. 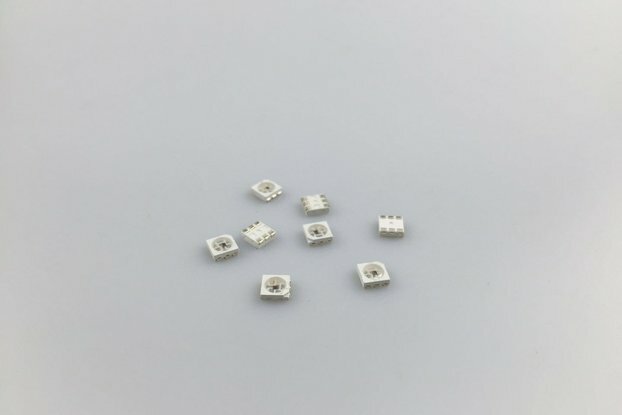 In this kit you get the Pixelblaze controller board (pictured), 5mm screw terminals, and 0.1" pin headers. Optionally LEDs may also be added. Some soldering required. 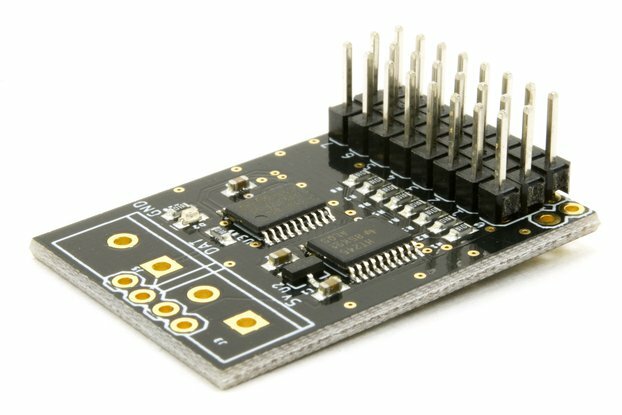 Whats in the Sensor Expansion Board? Music reactive LED patterns - examples included for strips and matrix configurations. Day/Night lights that are bright during the day and dim automatically. Motion reactive patterns like spinning poi, lightsabers, or costumes! Control panels with knobs and dials to control the color, speed, brightness, or even mix textures! Level shifters to drive APA102, APA102C, DotStar, WS2811, WS2812, WS2813, NeoPixel, and WS2801. Supports any RGB color-order, and RGBW/GRBW. 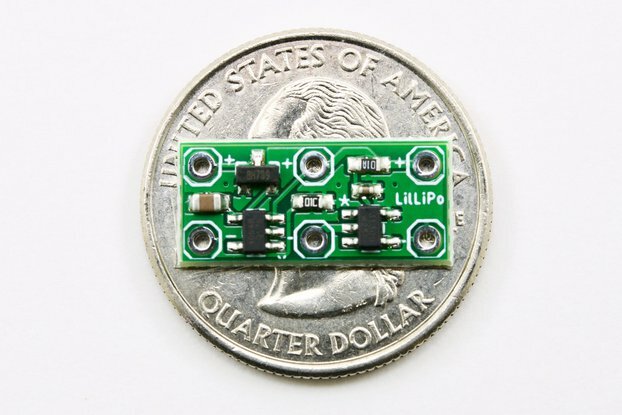 Can drive APA102/WS2801 LEDs at anything from 250khz to 20MHz (selectable). Can drive WS2812 at a wide range of timing specifications. You can order compatible LEDs with Pixelblaze, or check out my store page for more options and volume pricing. Very quick shipment. 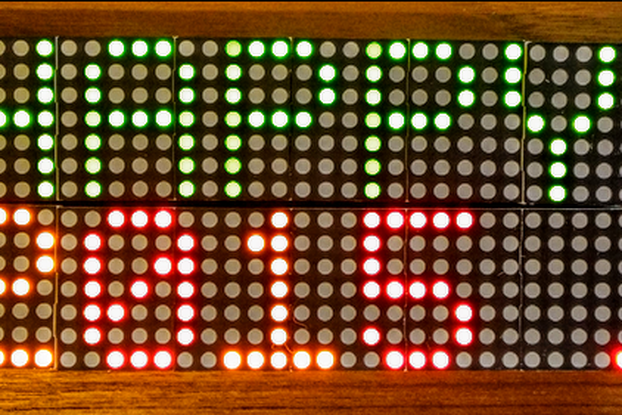 I love the board, powered it up, configured it, and off to displaying some neat stuff with my 2812s. Impressed with how small it is, how the sensor board interfaces with it, and the possibilities for interfacing to the board. Great job. Ben is VERY helpful and the pixel blaze is everything I ever wanted in life!!1!!! Still need to try out firestorm to control a number of these over the network! Excellent product and most fun you will have immediately out of the box. Really look forward to see this continue to develop. Especially syncing several modules to a central server. Very well thought out product, with great FW. Sensor board is a nice addition. Cherry on the cake would be a wrapper (Node-red, python, bash e.g.) to help using the API or a forum to ask for help. Sorry about the screw terminal! I'd be happy to ship you a replacement (shoot me an email with your order #). Glad you are enjoying Pixelblaze otherwise, and thanks for the feedback. Spectacular light show as soon as I powered it up ! Using Dot Star LED's, the Pixelblaze performed pefectly. Spectacular, colorful effects ! 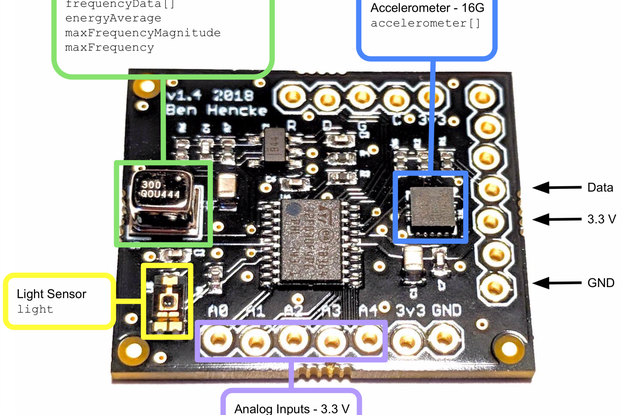 Hope to purchase the sensor board in the near future. Well worth the cost, even if you're hesitant. It's almost unfortunate that the hardware of the Pixelblaze is so cheap and simple. Especially for "maker hardware" where you're sort of expecting to do a bunch of work, the "markup" seems rough. But 99% of the awesomeness is in the firmware, and BOY is it worth $30. The system makes it so easy to build patterns and even simple games. It took me about 8 hours to go from concept to polished game for https://www.instructables.com/id/W6-a-Drinking-Game-for-the-Indecisive/. That may seem like a lot, but about half way in, the only thing I could thing was "man, it would have sucked to have this much work, and still be responsible for the supporting framework too." Pixelblaze offers a surprising amount of flexibility with respect to input, but it is, still, fundamentally more limited than rolling your own code with a library like fastled. Even if it's too limiting for your application, though, I'd suggest starting with a Pixelblaze prototype anyway, since it makes iterating on the details of the animation so much faster and easier. I had cobbled together my own half baked solution for driving ~500 APA102 LEDs, but never really had the time to make it as flexible as I wanted. The Pixelblaze is amazing! Plugged it in, went through the web setup, and it immediately started driving my LEDs. The ability to write custom patterns in the web browser and see them work instantly is a game changer. Fantastic device for light painting. The documentation, features and the compact nature of this board makes it fantastic for all sorts of uses. I primarily bought it to make a light painting setup, within 10 minutes of mounting, setting up the AP and connecting the wiring it was good to go. The editor is fantastic along with the documentation and the pixel mapping feature even makes it possible to adapt it to NeoPixel ring setups. I love this thing and would highly recommend it to anyone looking to have endless fun with a wide array of lighting designs. This is quite an amazing product which I found only AFTER developing my own DotStar lighting system on an Arduino MEGA. The Pixelblaze is much more powerful, the patterns incredible and you’ll save a LOT of time not having to constantly connect USB cables after each compile. You’ll need a bit of electronics knowledge and a fine-tip soldering iron to get up-n-running, but it’s minimal and worth the effort. Get one of these!!! I've been playing with LED boards for a long time...Flora, all the arduino family, various RPi versions doing multiple displays. But this is hands-down the easiest, fastest, and most fun I've had doing an LED project. Amazing product, the Pixelblaze is everything I wanted out of a board to drive LEDs. Finished an old project with it, and had requests for more of them! Good goods, functional. Only a description of the programming language would deserve more to describe, for better programming. Communicating with the merchant is perfect. Pixelblaze is awesome! The sheer amount of effort Ben has put into this little device is really impressive. The software is rock solid and even has an API for remote control over WiFi, if that's your thing. Extremely easy, well-designed, and documented! I am very happy with my purchase. The Pixelblaze V2 was easy to get set up and running. The documentation was thorough and complete. The included patterns are great, and the source code for all of them are included for studying, copying, and tweaking. I will be using this to test LED strips, strings, rings, etc of various kinds. I attached two different JST-SM connectors: one four-wire for APA102, and a three-wire for WS2812, WS2811, etc. The instant compile and run process with instant preview and output will enable me to develop, test, and tweak new patterns much faster than ever before. I'm looking forward to an ESP32-equipped Pixelblaze V3! The pixelblaze (and expansion board) is the most versatile, portable, and easy to use LED controller I have come across. After several disappointing attempts to incorporate sound reactivity with an arduino / msgeq7 I stumbled across the pixelblaze and have been very impressed! I make wearable LED art for EDM shows and other microphones seem to be overwhelmed by the intensity of the sound but the microphone on the pixelblaze handles it extremely well with a little tweaking of the code. There is great documentation available online and Ben has been super helpful with any questions I've had. It's a relief to be able to ask someone who knows this hardware intimately instead of searching through forum post after forum post for a tiny hint of a solution like I find myself doing with arduino projects. This disables software AGC, .5 seems to be the sweet spot for me but might be different depending on the acoustics & environment you're in. And fortunately you can adjust this value easily by connecting to the pixelblaze via wifi on your phone. I was looking for a good LED controller to drive some ceiling lighting in my home. I had tried a lot of options from Amazon and Alibaba. All of them were predictably horrible. I even backed a kickstarter for a good music reactive controller. I had given up and was starting to make my own Arduino/RaspberryPi controller when I found this and tested it. Pixelblaze is several orders of magnitude better than all of them. 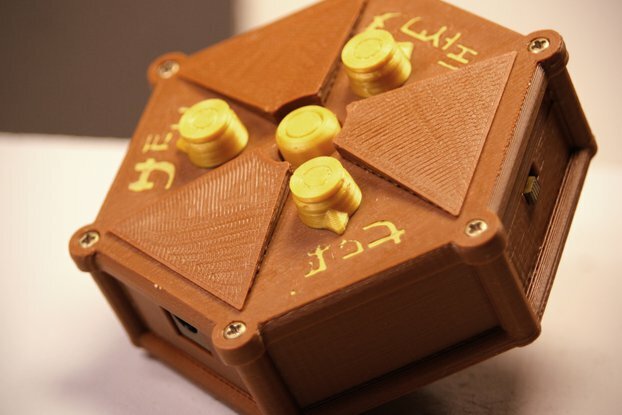 The hardware is compact, the design is great, and it’s a version 2 implementation so it’s solid. The software is crazy good. The project owner has a real passion and real talent which is evident in the quality of the overall solution. I bought this to control the LED lights on our RV. My daughter got a hold of it, and we were treated to quite a light show. The instructions are clear, the UI is great, and it's very easy to use. I'll be buying more! I've started to really appreciate things that save my time on projects by *just working*. Solder 4 points, power it, and you're running vivid example code in minutes! I love how fast you can iterate. You click an example or code in a browser, it syncs over WiFi, and just starts running on your LEDs. Everything about this just screams it's the work of a total craftsman. It has the best documentation I've ever seen for a maker/DIY thing. It's thoughtful. It's really a bargain too. You can order it with high quality DotStar strips that are cheaper than anywhere else other than Alibaba (and have fun picking which manufacturer to trust and waiting weeks for the shipping). This is my favorite purchase in years! Pixelblaze is a total gem. I really don't think there's anything else even close. I've been playing with LEDs for a while now. I've written code for them in a number of environments, from assembly to arduino. This is one of the most fun and easiest to get up and running system that I've ever used. The instant compile/run process on the strips is invaluable for coding an art piece in place. I bought one to play with, and I've just bought some more and some of the sensor boards. Can't wait to get my hands on them. Edit - December 2018 - I just came back to say that the support I've gotten from Ben has been unbelievably good. He has gone above and beyond in both responsiveness to questions, suggestions, and helping me out when I made a boneheaded mistake. This is now my go-to device for spinning up quick blinky projects and I can't recommend it highly enough. Thank you! I'm glad you are having fun, and I hope the sensors expansion board works out well for you! This is the most amazing controller for neopixel and dotstar what ever seen!!!!! I using arduino and particle photon ,Adafruit and many different methods to programming these lights source but I never seen before than easier like this way !!! No need to install any thing at all!! Just modifies on the fly , instant working. is the best way to full controll your lights without any error message like in arduino, there lot of error message...grrr:)) i hate that , take lot of time to figure out what is actually is the problem, look I know ...time is matter..
And this is for me The Great Solution for me to take the heavy work to "how to figure out to how the f%%% to working" if I just want to working to what I want! I've been working with traditional Neopixels for a while, and I've started not notice their limitations particularly with regard to brightness and the speed at which they can be updated. I bought a Pixelblaze and a 30 strip of APA102 LEDs. They hooked up easily. I used USB power since it was a short strip. I configured Wifi as per the instructions and was soon seeing various patterns of lights on my strip. This is a great little gadget for getting started with APA102 LEDs, and I'll recommend it for a variety of relatively simple projects. I had one problem during setup. There are two ways to connect APA102 strips to this device. You can use four header pins and a connector or you can install a four slot screw tight connector. You cannot install both, so you have to decide how you intend to work early. I originally installed the header then realized that it wouldn't work with my strip. I wound up adding the four slot connecting, but at an weird looking angle. It works fine, but is not really pretty. The main takeaway here is to plan ahead. A brief statement that one should choose up front would have been nice. Really happy with this controller. I don't write code, but editing variables in the patterns supplied has been the most satisfying LED experience I have ever had, and am quickly picking up on the various functions and the effects produced from tweaking the various parameters. Will be using in my upcoming series of new light and sound sculptures. And the fast response and support from the creator makes it even better! Thanx Ben. Great product! I've had a lot of fun with the Pixelblaze, it's a nice design that will find its place in one of my projects soon. The designer was friendly, helpful and quick to reply to my technical questions. The product is just brilliant. I love the unique take on managing LEDs. where there are cheap led kits online,. they cannot compete with the creativity of the effects achieved with the pixelblaze, and adding my own new effects is just maths, dont need to learn to program LED's directly! The Pixelblaze is an amazing piece of work. It does everything it is advertised to do. The effects it produces with a strip of Dot Star leds is like no other. I had no problem getting them to work other than I misread one sentence in the instructions. This did not stop the board from working, it just confused me when trying to find it on the wifi network. I has named it the same as my primary wifi. So I needed to reset it. I emailed the maker and he was very prompt in response with the method to reset the board. That took maybe two minutes and it was up and running with name I could now find easity in the wifi list. He has also addressed a problem with communicating with Safari with new software which I will be installing via his instructions. You should check out his website and check out his synthesizer build. I want one!! And tou will too! 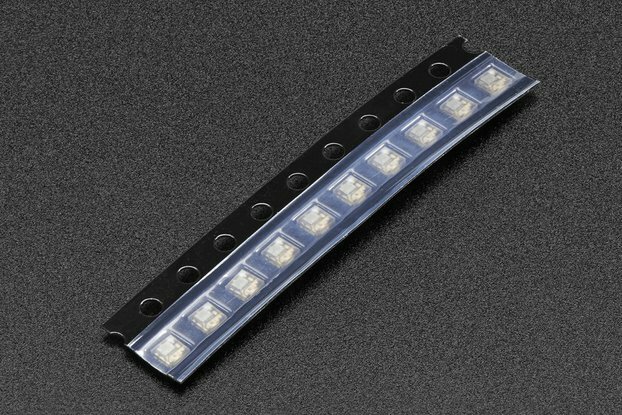 This is an amazing product, that makes setting led strips patterns very easy. The support I am getting from Ben the seller is great. Thanks for bringing this product to market.